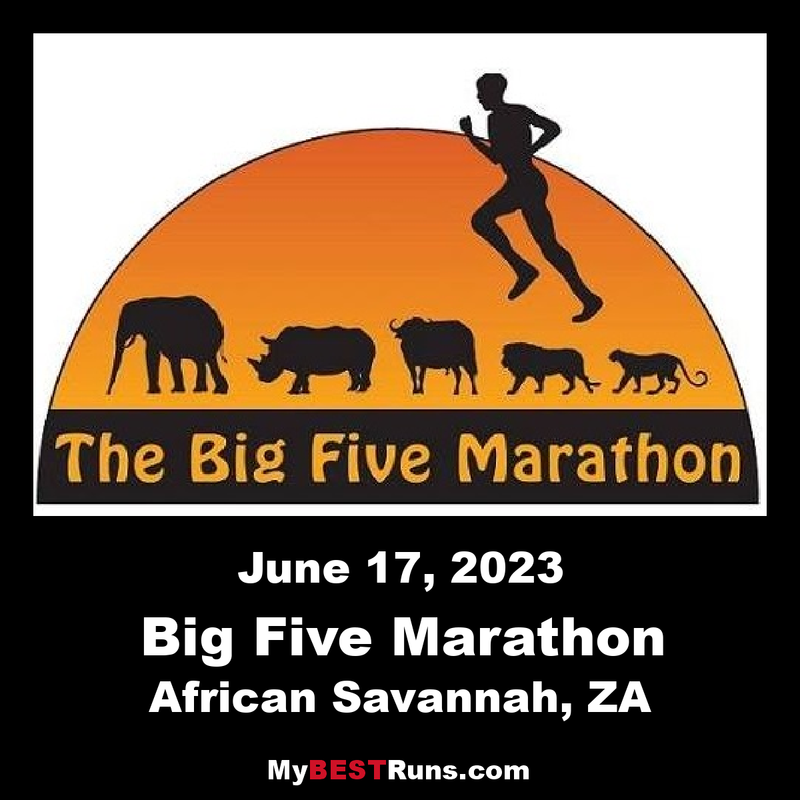 The Big Five Marathon in South Africa is held among the wildlife of the African Savannah. Runners from all over the world will meet in one of the most spectacular Big Five game reserves in Africa. In these magnificent surroundings, we combine exciting game drives with a challenging marathon route going right through the habitat of the most famous African game: Elephant, Rhino, Buffalo, Lion and Leopard. 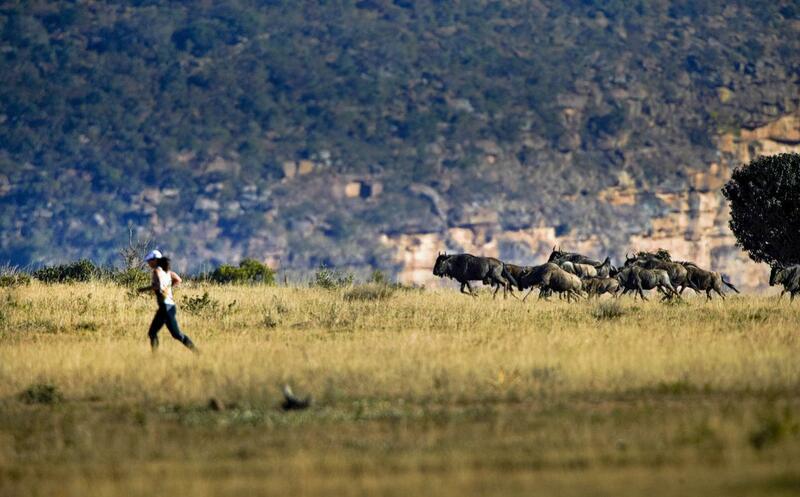 No fences, no rivers, nothing at all separates the runners from the African wildlife! 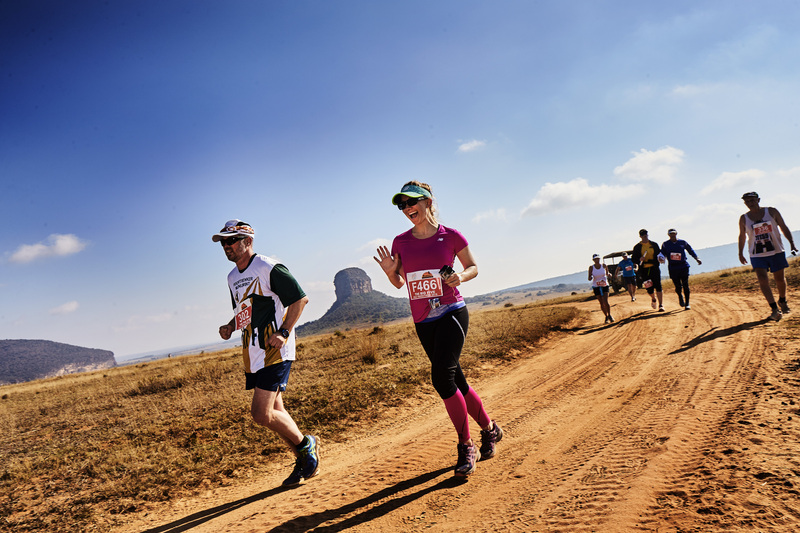 The Big Five Marathon is known for its challenging course, which takes runners through incredible scenery and showcases the natural beauty and wildlife of South Africa. The start and finish line are situated at Lakeside Lodge on the upper escarpment. After the start, the marathon and half marathon routes take the runners past Ravineside Lodge, the Entabeni Monolith and further on to the lower plateau. This first section is run on dirt roads made up of red sand. Runners will pass a few hills (nothing too bad…the most challenging is yet to come!). And when you reach Hanglip View Point, you backtrack and run back before you reach Yellow Wood Valley. Pay attention to this section as the surface is very uneven with loose rocks, pebbles and holes. The weather is very dry, sunny and cool at this time of the year. Participants can expect an average temperature of around 15-20 Celsius, but with variations due to sun, shade, wind and altitude.